It should come as no big surprise that the number of mortgage loan officers has grown proportionally with the real estate market. The problem being faced by the consumer is choosing a loan officer who has the right experience to evaluate their particular situation, and be able to give concise guidance, whether to move forward or explore another option. It seems everybody from plumbers to chefs to home-makers is quitting their jobs to become loan officers. It’s fairly easy, too easy in fact, to get licensed as a loan officer. That along with the lure of making more money off one deal than they might make in a month is too tempting. Just like rookies in sports these individuals makes mistakes, often costly, until they learn the play book. Your task is to avoid being a practice tackling dummy. 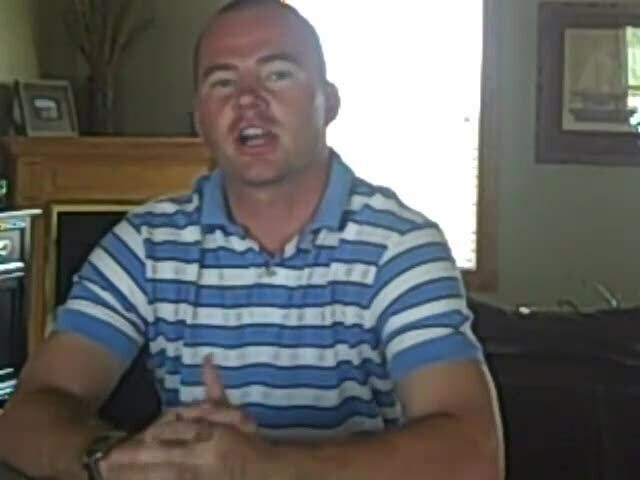 All too often consumers trying to refinance to stop home foreclosure find out far too late they have hired a rookie loan officer hell-bent on getting the loan underwritten. After all, that’s when they get paid, so it’s in their best interest to keep you on the hook all the way through to the bitter end. Choosing the right loan officer can positively impact your wealth in the long run. Here are some tips for choosing the right one. You are making a decision that will have far-reaching impact on your finances. Do not allow being under pressure to avoid foreclosure overshadow sound judgment. These are people who have experienced what you will go through, and are willing to look at your paperwork, and show you theirs. They must be near enough to you so you can show them the paperwork and ask questions. I don’t suggest using a family member as they might try to protect you instead of being up front. A trusted friend who has been through the mortgage loan process would be my first choice. Probably the best reason to get a loan monitor is they are not under the same pressure you are and will be more objective and level-headed. Understand that the loan industry is basically a big machine, just like the pharmaceutical industry, the automotive industry or the medical industry. Many loan salespeople are the products of a “throw it all against the wall and see what sticks” training program. Few own their own homes, yet they make decisions for you. Seems ludicrous, but unfortunately it’s true. The industry makes billions of dollars, and it is insatiable, always wanting more. So comparison shopping is a must. Go to ConsumerAffairs.com’s section on mortgages or your state government web site, or your loan monitor, and check the background of these companies. Visit Google and do a search using the loan officer’s name. Do the loan company too, you will be amazed what you will find out. If you discover the loan officer isn’t what they portray to be then keep looking. Be ready for the emotional highs and lows. It’s important not to give up. Don’t become frozen like a deer in the headlights. It is combination of information explosion and aimless direction that may kill your will. You can protect yourself, but you have to work at it — do your homework, get good help, pay attention and don’t lose your nerve. Many different things can lead to you to end up in debt; among those are taxes, excessive payroll, credit lines, credit card expenses, and others. Once your company has fallen in the strong binds of debt, is not an easy task to free your business from the financial difficulties that debt means and do it successfully. Using professional counselors is the best way to go once you have decided to look for business debt help. By getting counseling, the manager or the owner can understand the true nature of the debt problem. Sometimes, managers and owners do not like getting business debt help because they feel they no longer have the control of the company. This is the main reason why businesses remain trapped in debt for a long time. A professional counselor, expert on bringing business debt help, starts by analyzing each part of the business and its finances. By using business debt help and the professional help that it brings along with it, you are moving towards better allocating your money to the various departments of your business, which will help clear up your current business debt. These days, thanks to the Internet, it is an easy task to find a good online financial recovery service which can provide helpful information on business debt help, credit repair, bank levy, foreclosure avoidance, debt negotiation, and several mechanisms that can help free your business from debt; or at least can help you understand the depth of your business current situation. With business debt help, people need to understand that they will receive more than just counseling, and their current business situation will be handled, at the latest, in a few weeksâ time. Business debt help provides counseling, but to really start repairing the damage caused by the business debt, it is really necessary to accept the help of a business debt settlement company; some can offer both types of services: Business Debt Help and Commercial Debt Counseling. The difference between both services lies in the activity. When someone searches for business debt help, he/she gets counseling from a specialized group and with commercial debt counseling, they get business debt help and commercial debt settlement. This is all with the purpose of you helping you understand your current business situation and also getting debt settlement in order to start repairing your business debt once and for all. After you apply for the business debt help service, a professional counselor starts gathering information from your business and after taking a looking at everything thoroughly, he will give you some advice on what you should start doing and/or stop doing. The counselor, based on the gathered information, will determine which factors are currently increasing the debt such as credit cards, interest on credit cards, credit lines and their interest and taxes. Once this is done, the counselor will suggest different ways of getting a hold of some extra cash, say, allowing external investors or getting a secured loan on a property or even your house. Remember this: when a business is surviving today’s market, it cannot start dealing with yesterdayâs debts because that will cause the business serious trouble, and the problems will make it weak in front of its competitors. When a business has debts of more than 60 days old, and pressure from collectors and/or lawsuits are your main concern day and night, or if you borrow from one place to pay another, you are definitely in need of business debt help. We have different articles on interesting topics and current and former clientsâ experiences with our programs. Take a look at the different situations on Business Debt Help and related topics that people can fall into and how to keep yourself a debt free person. Yes times are tough: people are upside down on their mortgages or even going through the foreclosure process, the banking industry is in turmoil, retail stores are closing at a record pace, jobs are being lost.Â It is certainly difficult to imagine that all of these events are happening all at the same time, but things happen that are beyond our control.Â Everywhere You turnÂ people are crying for help, and pointing fingersÂ everywhere except for where they should be pointed.Â Here is a novel idea, though: take a good long look in the mirror and see who is truly to blame for you own person situation: you! For years, people have been worried about keeping up with the “Jonses”: their neighbors, family, friends, emulating what they see on entertainment tv programs.Â They go out and purchase cars and houses that consume most of their take-home pay just to say that they drive this car or that car, or so they can say that they live in this zip code or that city.Â They struggle to live paycheck-to-paycheck using almost every last cent to pay for the luxuries that they thought would bring them status, but only drive them deeper into debt.Â Did they not think that one day this would all catch up to them? For years the national savings rate was at historically low levels under 1%.Â A majority of the country wasn’t concerned with saving, just outspending and upstaging the next person.Â Savings accounts?Â Emergency funds?Â Retirement savings?Â Most reports concluded all of those things were virtually non-existent.Â What happened once the ARMs started adjusting upward?Â Foreclosures increased.Â Defaults increased.Â Banks, which are not in the business of selling real estate are seeing their risky lending practices come back and bite them in the rear.Â Then the layoffs come, and there is no savings account, no emergency fund.Â What do people do?Â What else, blame everyone possible without taking personal responsibility for their own actions and decisions. Sometimes, people need a good slap in the face to wake them up to the fact that they are responsible for each of these situations.Â It’s not the banks who extended the line of credit.Â It’s not society (totally) for making you feel that you needed to keep up with those who actually have the means to afford their lifestyles.Â It’s not the former employer that had to let you go in order for the business to survive.Â Ultimately you are responsible for where you are right now.Â You decided to buy rather than rent even though you knew you couldn’t afford it.Â It was you who purchased a luxury car versus the affordable sedan even though the payments, insurance, and fuel costs would be stretching your budget.Â You are the one who made the decision to spend your bonus and/or raise rather than fund your retirement account, savings account, or emergency fund.Â It is al on you for living above your means, and you have no one but the person looking back at you in the mirror for where you are at this very minute. Obviously this is not the same for everyone, but for the great many people who brought their current money woes upon themselves, this presents an excellent opportunity to learn something about yourselves and about money.Â Look back to see how you got to this point.Â See what you could have done differently, perhaps sought out a financial advisor, or read a book on money management.Â Sit down and make a plan, outline your priorities, just do something to come out of this situation a more informed, more responsible consumer. The Maryland foreclosure process is not that difficult to understand. In Maryland, as with the rest of the United States excluding a few blue-chip areas, foreclosure rates on home mortgages are at record high levels. If you are in a compromised position concerning the state of your home mortgage and have questions concerning your rights and the steps you should take, then read on. If your mortgage or deed of trust has no power of sale or assent to decree clause included, then a lender must initiate a formal complaint against you and request a decree of sale. It is then up to the court to discern whether a default has in fact occurred and issue the decree. If your mortgage or deed of trust has a power of sale or assent to decree clause included, then a lender is pre-authorized to sell your property in the event of a default. With the Maryland foreclosure process, the lender must still file an order to docket in advance of initiating the foreclosure proceedings. There is however no requirement for a formal hearing to transpire before the proceedings begin. Here, the foreclosure process is simplified for the lender as the security documentation already includes a clause, signed by the borrower, that the borrower agrees to an entry for sale upon a pre-specified default amount. Although the lender must still file the motion in court, there is no requirement to wait for an answer or have a hearing in order for the foreclosure process to ensue. The lender must have a notice of sale published in a local newspaper for 3 consecutive weeks before the sale is to transpire. The borrower must be informed of the intended sale by certified mail more than 10 days, but less than 30 days prior to the sale. Only a trustee (an authorized representative of the lender) or the sheriff may conduct the sale. The sale must transpire either at the local courthouse, at the property for sale or at a location that has been included in the advertisements concerning the sale. If for any reason the sale is postponed, the rescheduled date of sale must be published in the same manner as the first date of sale was. Lenders may file a deficiency judgment for up to 3 years. The amount of this deficiency judgment request is limited to the balance of the defaulted loan. The lender must also forego the costs of the foreclosure sale. The timeline for the Maryland foreclosure process to be completed is typically 90 days. There is no right of redemption in Maryland. Understanding your rights and the rights of the lender for your mortgage is a necessary and valuable asset when your are faced with the possibility of foreclosure. To learn more about the Maryland foreclosure process, please visit Stop Foreclosure Help Today. Hello everyone, my name is RJ Cid, President of CID SOLUTIONS INC. a LOCAL real estate solutions company focused on helping Chicago Homeowners who are looking to sell their houses FAST or fight their foreclosure. Please visit our site and sign up to receive a FREE consultation call. 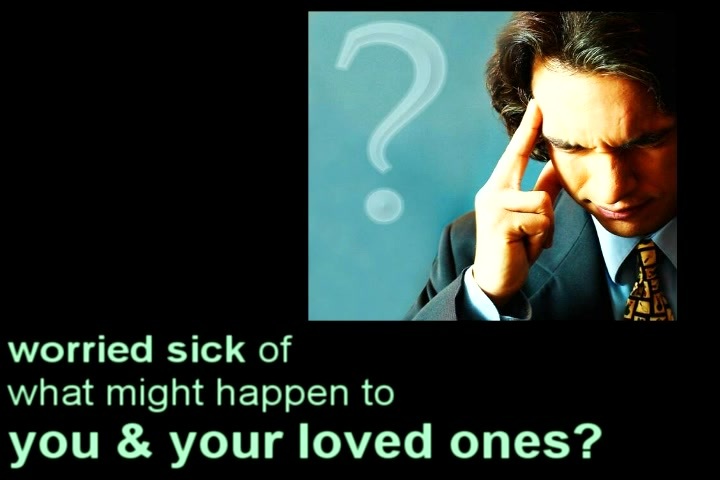 http://www.floridaloanmodification.me/ Florida Loan Modification knows that there are things that unexpected things happen even for the best of American families. We have the expertise, empathy and know-how to help achieve best outcome to save your most precious investment, your sweet home. Leon Altuna, Investors United School of Real Estate Alumnus describes a transaction he completed recently in Baltimore, Maryland on a bank-owned foreclosure property. Helpful information to avoid the foreclosure problems and save your home. 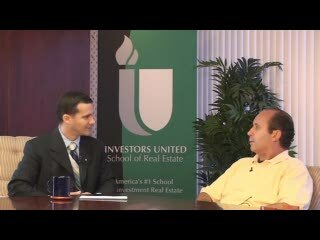 USDA Foreclosure, what to do? I am in the middle of getting separated and just found out that my husband was not making the house payments.. i got a letter in the mail saying that my home was in the process of foreclosure. 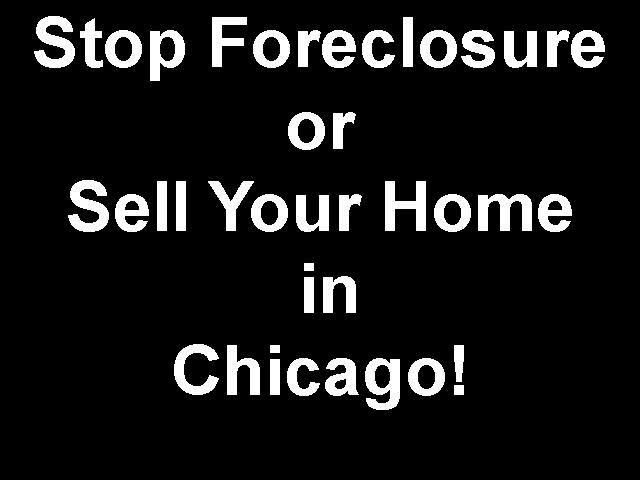 I was wondering if any body had any suggestions on How to stop foreclosure. The amount that i apparently owe i can not come up with in one lump sum and they will not accept payments.. I have two small children and really do not want to up root them from their home, they are already going through enough with the separation. Any suggestions will be nice. Thanks. If you are able to make the house payments on your own, once seperated then see if you can borrow what is owed on your house. Of course, you will have to be able to pay that back along with your house payment. If you are not able to make both these payments then be prepared for the foreclosure. After the house is sold at foreclosure, you may be able to stay in the house for 6 months. The amount of time you’re allowed to stay varies in each state. You should probably be talking to a lawyer to find out your rights and options.